Rapid City Monthly Meeting: "Gearing Up for Your Annual Appeal - Learn to Tell Your Story!" Position your organization and appeal to donors through your message to yield positive annual appeal results. Storytelling means impact – learn how to tell your story to achieve annual appeal success. 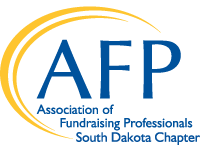 Join Michael through anecdotes, successes, and challenges in conveying your message to donors. You will learn when to tell you story, how to tell your story and how to make a deeper connection to your donors!